Cairo is more than pyramids and Tutankhamen’s treasures. Discover its Coptic churches, medieval mosques, lively souks and imposing citadel. Come and experience the hospitality of the 22 million Egyptians that live in this amazing city. Cairo has a rich cultural and historical heritage with unique monuments. The great pyramids of Giza, the single remaining Wonder of the Ancient World, have long fascinated people. Don’t let fears of tour buses and thousands of tourists every day make you think you can skip them – you can’t. Although the pyramids and the Sphinx are best known, there are other sites that are more ancient and just as grandiose. There’s busy Cairo with its Coptic churches, mosques, lively souks and imposing citadel. Wandering through the ever-changing streets and bazaars is still one of the city’s greatest charms. Hang out in one of its historic cafes and experience the warm Egyptian hospitality. South of modern Cairo is the historic enclave known as Old Cairo. This part of the city is a warren of alleyways and souks. Stroll through the famous gates of Cairo’s medieval walled city and visit one of the largest and oldest mosques in Egypt, Ibn Tulun. Its large courtyard and spiral minaret make it unique. Today, as they always have, the bazaars of the Khan al-Khalili, Cairo’s most famous souk, pulse with commerce, with stalls of spices, jewellery, wooden & copper crafts, perfumes, lanterns and many other trinkets. Take time out to watch the world go by while smoking a water pipe at El Fishawy, Cairo’s oldest cafe, where Nobel prize-winner Naguib Mahfouz set several of his novels. The Egyptian Museum is home to the greatest collection of ancient Egyptian treasures. In Giza, you’ll find the only surviving Wonder of the Ancient World, the great Pyramid and the Sphinx. Nearby Sakkara offers the Step Pyramid of King Djoser, together with beautifully decorated tombs and the intriguing Serapeum. Rarely visited sites are the pyramids of Dahshur and Meidum, beautifully situated in a secluded area on the edge of the desert. Planning a trip to Cairo? 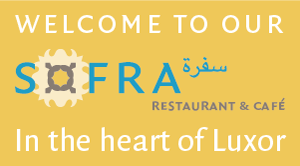 We love to help you explore Cairo. 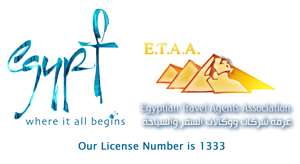 Have a look at our suggested Cairo Itineraries or Cairo Day Tours and request a quote for your private Cairo adventure.